Among the general population, about 1 in 6 people would tell you they’ve experienced low back pain in the past 12 months. Among dental professionals, the prevalence is 1 in 2! An important first step in resolving low back pain is ensuring that your dental stool is properly adjusted to maintain & support your lumbar curve. 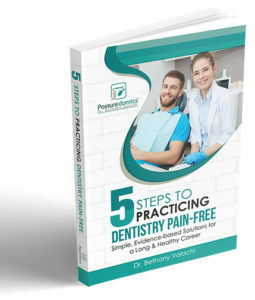 Run through this checklist to ensure that your dental stool is supporting you, and not contributing to low back pain. Can you easily fit 3 fingers behind your knee without touching the seat? If not, the seat pan is too deep, you may be ‘perching’ on the seat edge. You should probably select a stool with a shorter seatpan. Are your hips higher than your knees? If not, your lumbar curve is likely flattened–a risk factor for disc herniation. If you have a traditional stool, is your seat pan tilted slightly forward? Tilting the seat forward facilitates a lumbar curve. If you have a saddle-style stool, is your seat adjusted flat? Most people should keep the seat flat on saddle-style stools. Do you have hyper- or hypo-lordosis? If so you’ll need to make adjustments to prevent low back pain. Is the backrest snugly contacting your back when you sit up straight? 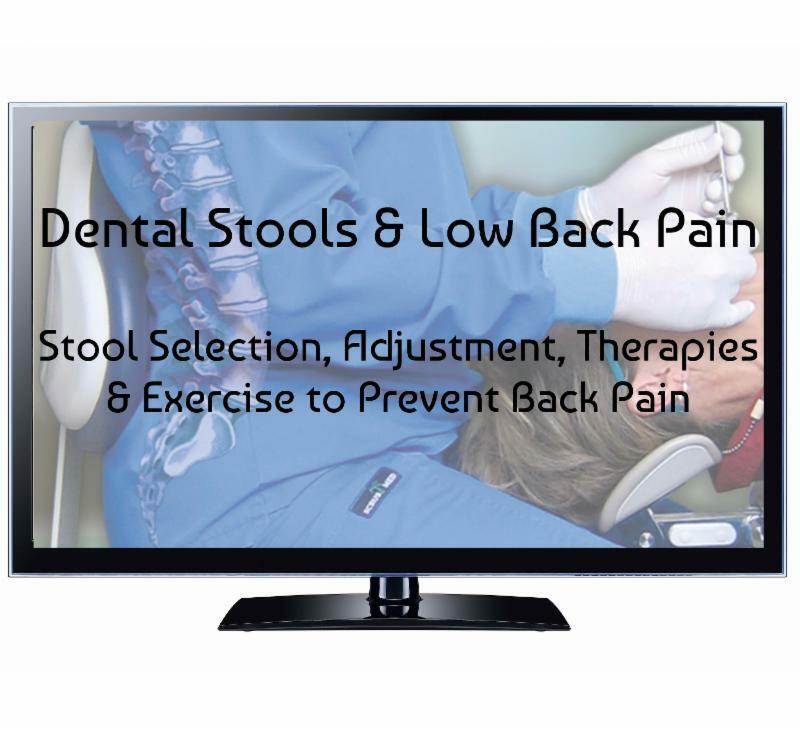 Research shows that being in contact with a backrest is one of the most important factors in preventing low back pain. Watch this short video on how seat adjustment impacts your lumbar spine & can lead to low back pain. 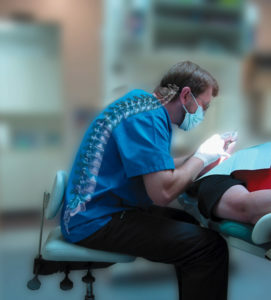 How to select an ergonomic dental stool that fits YOU! Perform a test to determine if you have hyper- or hypo-lordosis that requires special stool adjustment. Want to resolve your low back pain NOW?